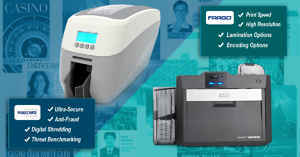 the Fargo DTC1000 ID card printer. 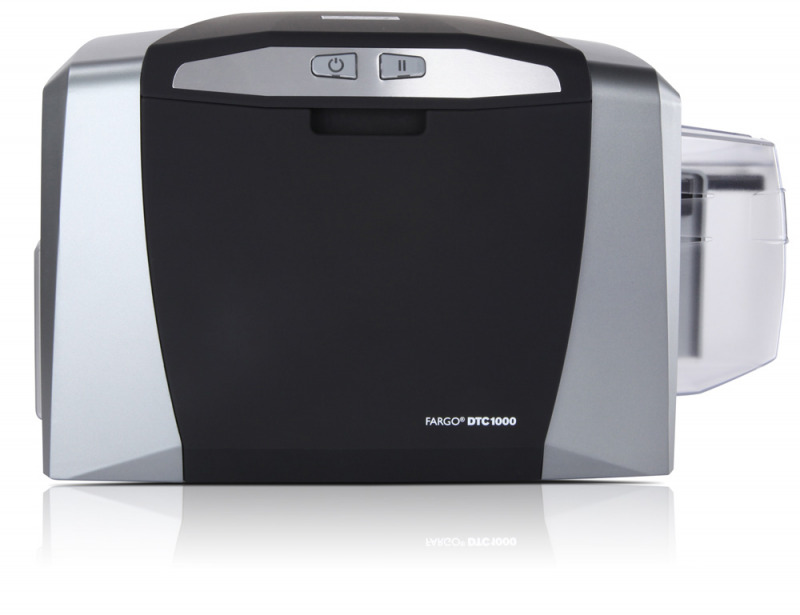 The Fargo DTC1000 ID card printer has been designed for small businesses and organizations that need a simple, reliable, and affordable solution to issue high-quality cards and badges. 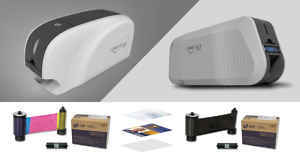 The Fargo DTC1000 card printer comes in single or dual-sided models and offers optional encoding options to store data in cards with magnetic stripe or smart cards. Fargo has just launched an enhanced version of the DTC1000 called DTC1250e. 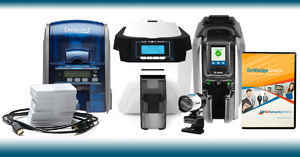 The Fargo DTC1250e is the fastest card printer in its category and is available in single and dual-sided versions. The DTC 1250e prints full color cards at a rate of 16 seconds per card (YMCKO), and monochrome badges at a rate of 6 seconds per card (K). Compact and easy-to-use, the Fargo DTC 1250e ID Card Printer is packed with unique features to simplify your ID card production. 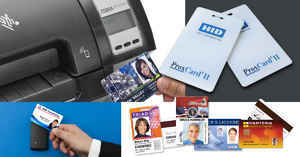 The printer includes Built-in Swift ID� badging application to help you create ID badges in seconds without having to install any additional software. Choose from easy (EZ), all-in-one print ribbon and card cleaner or economical and eco-friendly (ECO) refill ribbons. A card-cleaning roller is also integrated into the ribbon cartridge for easy maintenance. It also features a new 3-year warranty on printer and printhead and is now compatible with all operating systems, including Windows� 7, Windows� 8 (32 bit & 64 bit), MAC OS X 10.5/10.6/10.7/10.8 and Linux. 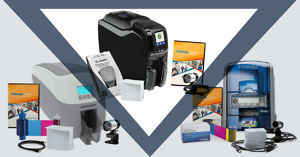 For more information about the DTC1250e ID card printers, call us at 1-800-897-7024 or visit our DTC1250e ID card printers page.